Choose packaging for your project based on the content of the disc (audio, video or data) or material (cardboard or plastic). You CD DVD Blu Ray in a clear cake box. 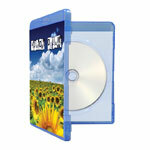 A simple way to package your discs in a simple plain clear plastic sleeve. 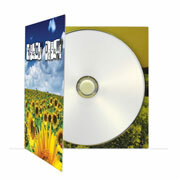 The simplest way to package and protect your discs - a plain white paper sleeve. 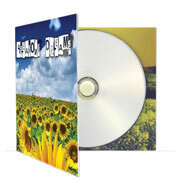 The CD Slim Case holds an insert and disc. 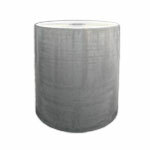 Commonly used for demos or promotional purposes. With black tray. 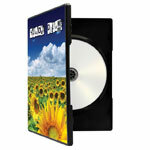 The CD Slim Case holds an insert and disc. Commonly used for demos or promotional purposes. With clear tray. 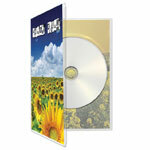 This two-piece jewel case comes with a standard black tray. Holds an insert, disc, and tray card. This two-piece jewel case comes with a standard clear tray. Holds an insert, disc, and tray card. 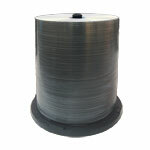 Thickness 7 mm. Black color. Thickness 14 mm. Black color. Thickness 14 mm. Blu color. Printed Jacket, 350 gr. ; cardboard: die-cut, folded and glued. 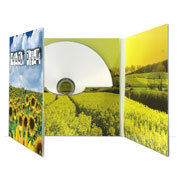 4-panels Carboard-Brochure typically used for Demos with full color printing. Printed 4 colors on both sides, disc hold by button, 350 gr. 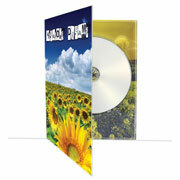 6-panels Carboard-Brochure typically used for Demos with full color printing. Printed 4 colors on both sides, disc hold by button, 350 gr. 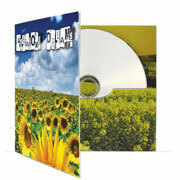 4-panels Digipack typically used for CDs with full color printing throughout with a clear tray. Printed 4 colors, clear tray, Digipack is die-cut, bent, stuck (glued). 660 gr. 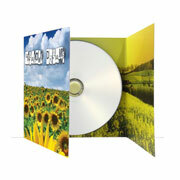 6-panels Digipack typically used for CDs with full color printing throughout with a clear tray. Printed 4 colors, clear tray, Digipack is die-cut, bent, stuck (glued). 660 gr. 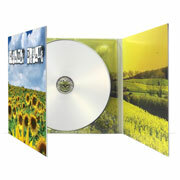 4-panels Digifile typically used for CDs with full color printing throughout with a clear tray. 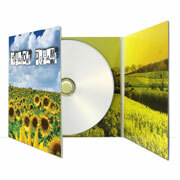 Printed 4 colors, cd positioned in a pocket, Digipack is die-cut, bent, stuck (glued). 660 gr. 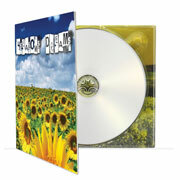 6-panels Digifile typically used for CDs with full color printing throughout with a clear tray. 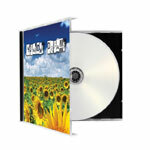 Printed 4 colors, cd positioned in a pocket, Digipack is die-cut, bent, stuck (glued). 660 gr. 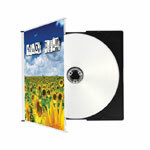 4-panels Digiclick typically used for CDs with full color printing throughout with a clear tray. Printed 4 colors, button holds disc, Digipack is die-cut, bent, stuck (glued). 660 gr. 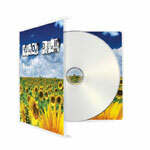 6-panels Digiclick typically used for CDs with full color printing throughout with a clear tray. 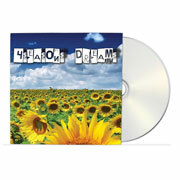 Printed 4 colors, button holds disc, Digipack is die-cut, bent, stuck (glued). 660 gr. 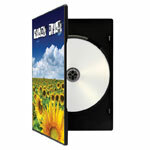 4 or 6-panels DVDPack typically used for CDs with full color printing throughout with a clear tray. Printed 4 colors, clear tray, Digipack is die-cut, bent, stuck (glued). 660 gr.